All Island Transportation drivers are your Nassau County experts. Our staff has driven through every town of Nassau and some places caught their attention. We have provided transportation services to plenty of our great customers and a lot of them head to restaurants and bars with the best nightlife in Nassau County. We learned from our customers and now we want to let you know about these hot spots! Sick of the same crowd and music? Head on over to K. Pacho, where each night is just as entertaining as the last one. 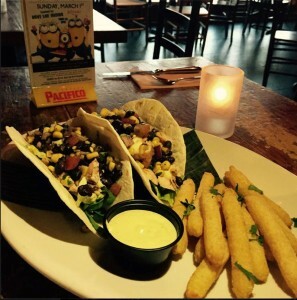 K. Pacho is not just a delicious Mexican restaurant, it’s the perfect social scene to hang out with friends, spend time with a significant other or just enjoy a night out. What makes it one of the best spots for nightlife in Nassau County are their endless weeks of events. You can catch a live DJ or come for themed nights like Taco & Tequila Tuesdays, Calling All Doctors Wednesdays and Thursday Night Tequila for the ladies! Start off with their famous guacamole while sipping on one of their “Killer” margaritas and dive into the authentic Mexican dishes. Enjoy the surroundings of K. Pacho that emit the perfect nightlife atmosphere. This prime steak and sushi restaurant is the perfect place to indulge the nightlife in Nassau County. Its architectural greatness paired with the most delicious food is sure to make any night perfect. Not to mention, Rare650 is one of the best steakhouses on Long Island. Each dining room has the perfect setting for an exquisite meal. 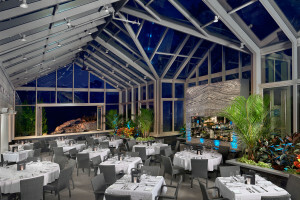 Dine in the glass room where you can oversee the outside landscape or dine in the cozy lounge area. After dinner, stop by the bar for some of Rare650’s delicious wine and drinks. Puglia’s of Garden City cannot be overlooked if you enjoy authentic Italian cuisine and live entertainment. The creation of Puglia’s was built by Gregorio Garofalo from Italy, who came to America to make his own wine. Now in its third generation, Puglia’s is a place for many seeking the nightlife in Nassau County. After a dinner filled with dishes, like Spinach & Roasted Garlic Ravioli and Pollo Michelangelo, head to the dance floor! Every weekend Puglia’s hosts great live bands and DJs so you can dance the night away. There’s everything from disco to Sinatra classics, so make sure you check out a night that you’ll love! Looking to get all your friends together for a fun night out? Cue Nine is the new hotspot for nightlife in Nassau County. It’s a sports bar, restaurant and billiards hall all under one roof. The restaurant even offers the option to grab a bite to eat while playing a game of pool. The bar is open late night to enjoy the finest liquors and wines, draughts, handcrafted beers and cocktails and more. If you’ve worn out your dancing shoes, definitely check out Cue Nine for a different experience in nightlife. Share some laughs and drinks with great friends. Enjoy all the offers of nightlife in Nassau County and let All Island Transportation take you there, so you are ensured a safe travel. 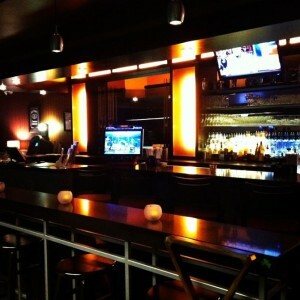 Call us at a location near you or make a reservation online and enjoy your night out worry free!